Navigation: Getting from one place to another while in space. This often involves long periods of coasting and short bursts from small rockets to change course. Control: Orienting a spacecraft in its three axes of rotation (changing the direction it “faces”). This may be done to aim an antenna, correct course, or dock with another craft. 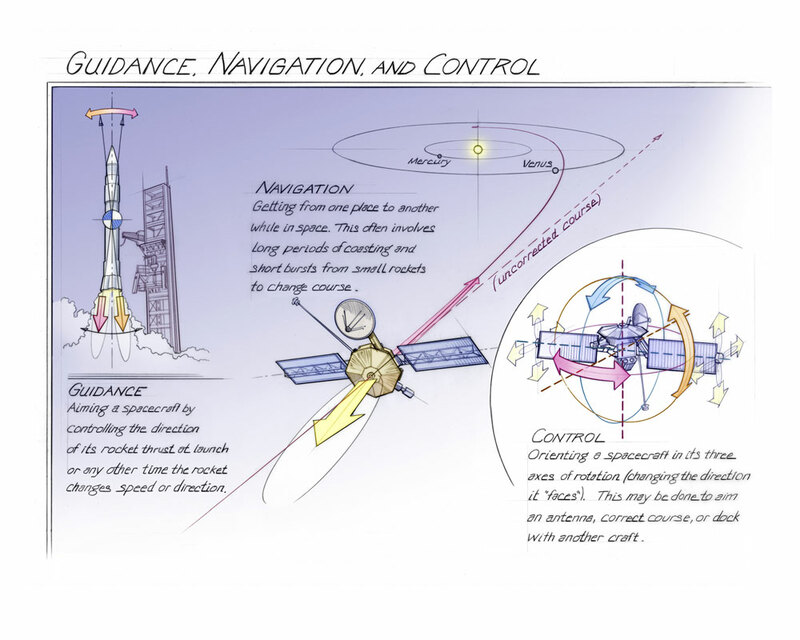 Guidance, navigation, and control are three central facets of managing a craft in space.